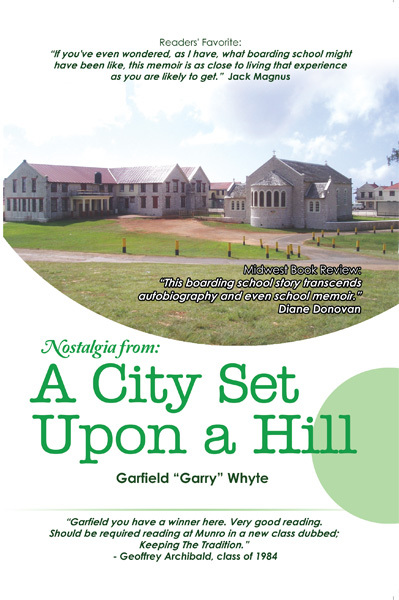 Nostalgia from: A City Set Upon a Hill is a trip down memory lane, into a place that many readers may not have heard of. Garfield White has warm, glowing memories of Munro College, a prestigious boarding school in Jamaica, and he relates them here in with a storyteller’s flair. This not a history of an institution framed by the author’s experiences; this is an account of the author’s experiences at the institution, and much more entertaining. The memoir is structured differently, by subject rather than sequentially. The details of Whyte’s seven years are not spelled out in detail. He admits that his memory of some events is hazy and that some stories he does remember have lost their context, but the school days tales are no less entertaining for it. Whyte’s deep fondness for Munro, his classmates, his teachers, and their old hijinks bleeds is infused in every sentence. Nostalgia from: A City Set Upon a Hill was a delightful read, a memoir about a place I hadn’t heard of before that was clearly near and dear to the author’s heart. I thank him for the experience. "But I was there to learn and make use of my time, like all the others who have gone before me, always bearing in mind that there were others who wanted my place." 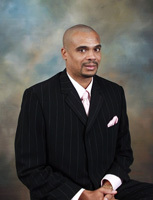 Garfield Whyte, has a varied background in marketing, corporate communications and law. He worked in the banking sector for approximately sixteen years before he made a career change to law. Garfield is now gradually trying to make another career change to screen and creative writing as he finds law mundane and boring. He holds a bachelor's degree in geography and social sciences from the University of the West Indies, a master's degree in business administration from the Nova Southeastern University in Florida, USA. Still not satisfied with his academic achievements, he went on to complete a law degree from the University of London, then on to the Norman Manley Law School. Garfield is the author of; Feelings an environmental photography and poetry book, Nostalgia from: A City Set Upon a Hill, his memoir about life at Munro College, his 160 year old all- boys boarding high school. In 2016 he completed his debut coming of age novel entitled: TJ's Last Summer in Cape Cod (sub titled, Don't Cry for me Cape Cod), a novel that will make you want to be 18 again. A tennis and basketball fanatic who has a passion for the environment.